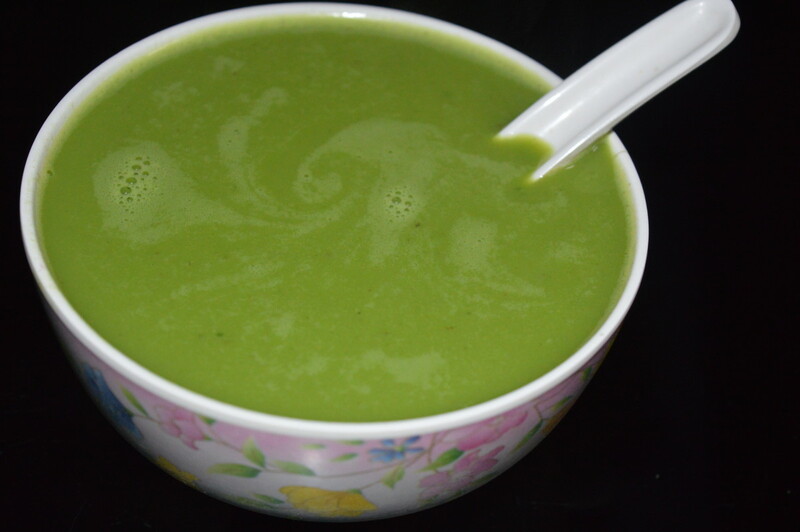 Spinach and fresh pea soup can be made in 25 minutes. 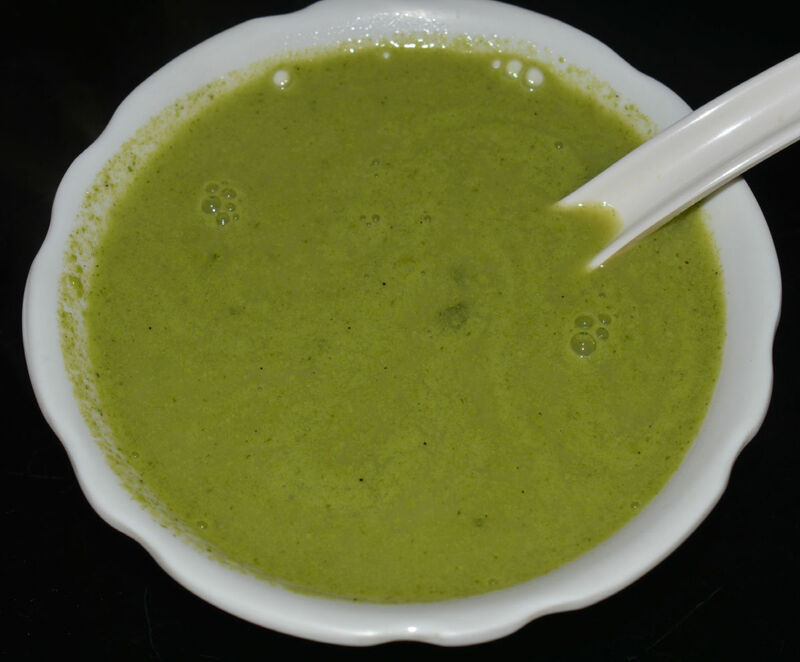 This soup has a unqiue aroma due to the ingredients, such as milk, garlic, and pepper. 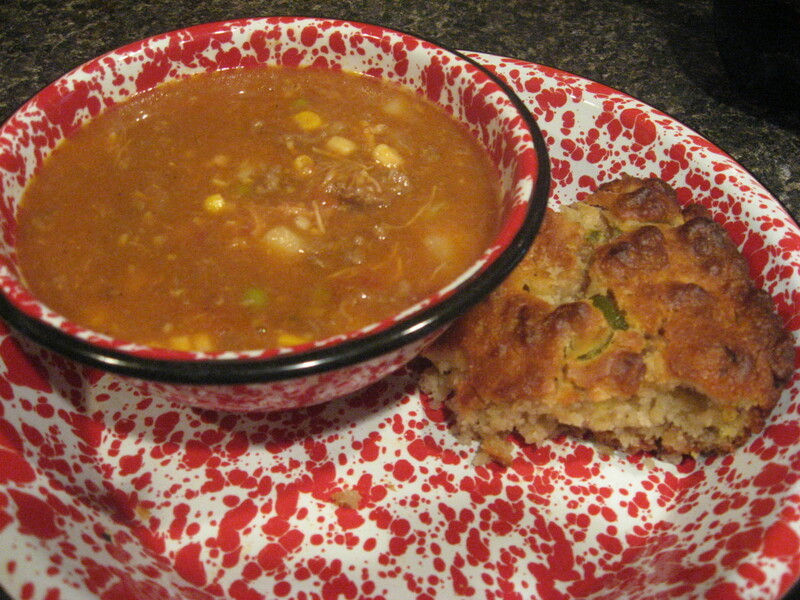 For making this soup, you have to saute cumin seeds, onions, pepper corns, and garlic in butter or oil. 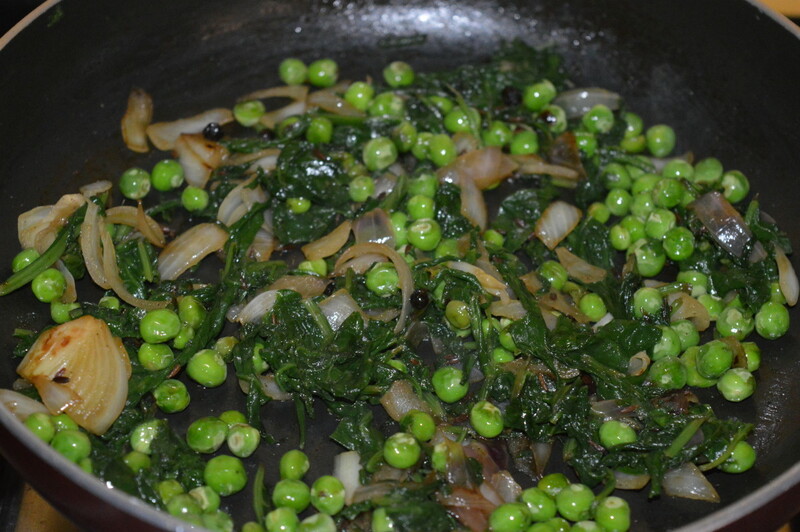 Next, you have to add fresh peas and chopped spinach leaves. 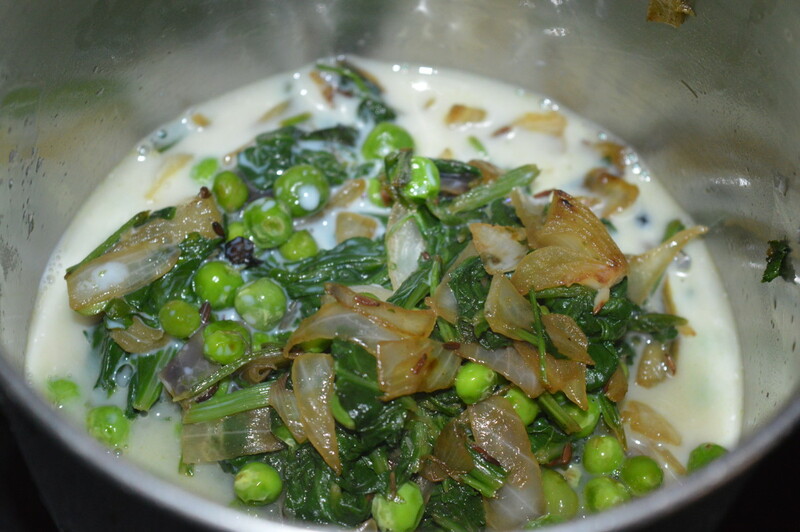 Stir-cook till peas become soft. This will take about 4-5 minutes on low fire. Turn off the stove. Transfer the contents into a mixer or grinder. Grind, adding some milk to get a smooth liquid. 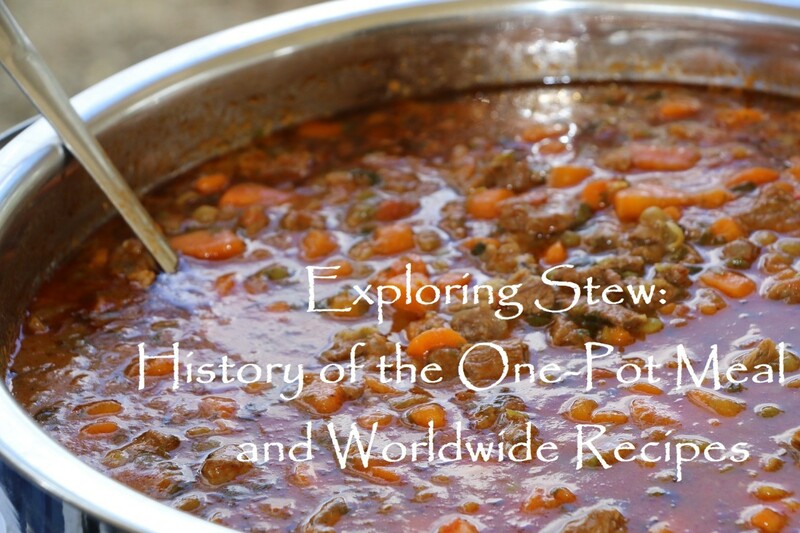 Pour it into a deep-bottomed pan. Add remaining milk. Pour some water to adjust the consistency. Add some salt. Boil the mix for a minute. Off the flame. 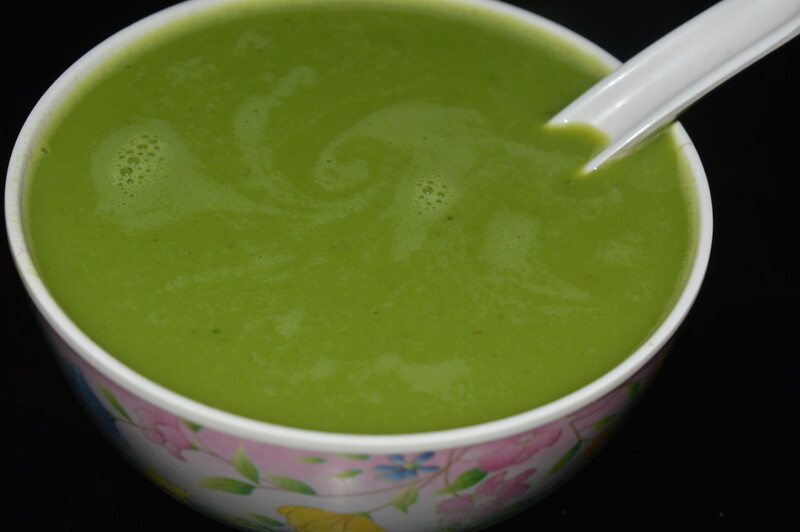 Hot and nutritious spinach and fresh peas soup is ready! Pour this soup equally into four bowls. Enjoy sipping! 1 cup fresh peas or frozen, If using frozen peas, immerse them in water for 5-10 minutes. Strain them. Heat butter or oil in a deep-bottomed pan. Throw in cumin seeds. Cook until they crackle. 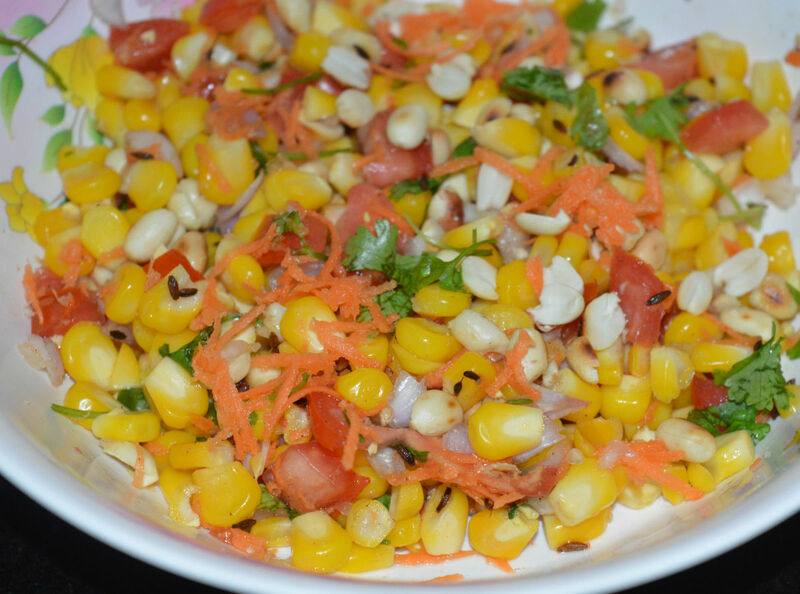 Add pepper corns and chopped onions. 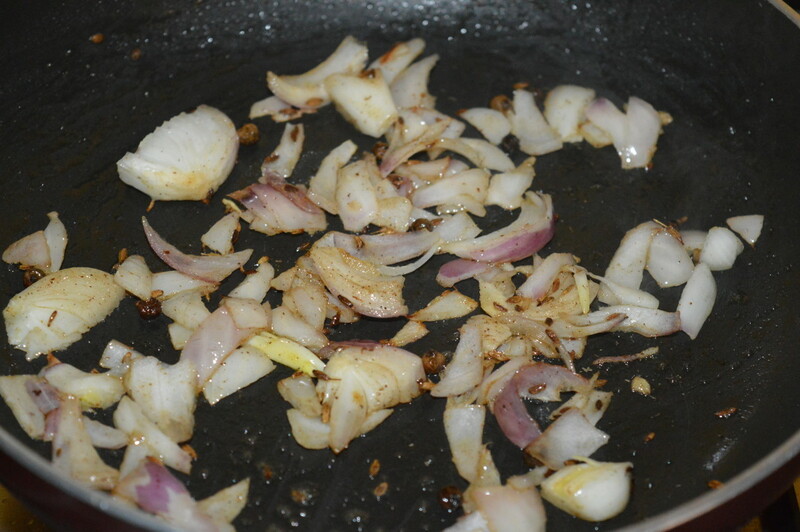 Saute till onions turn pinkish and transparent. 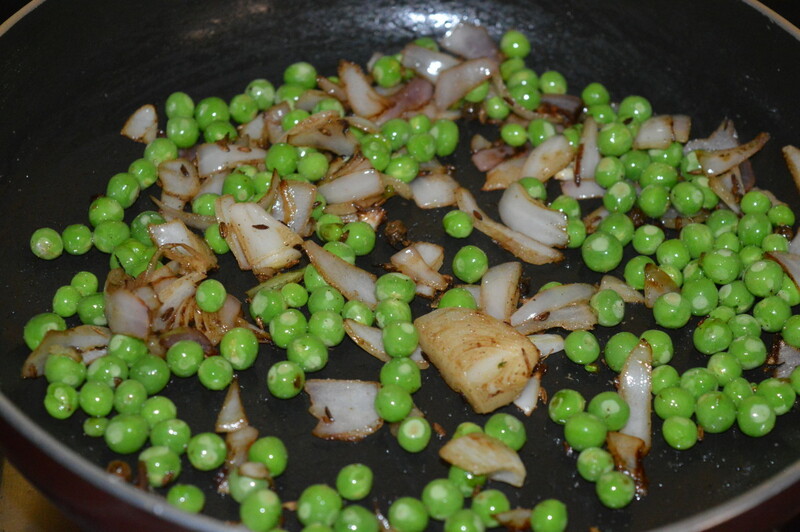 Add fresh peas or frozen ones. Stir-cook for 2-3 minutes. Throw in chopped spinach leaves. 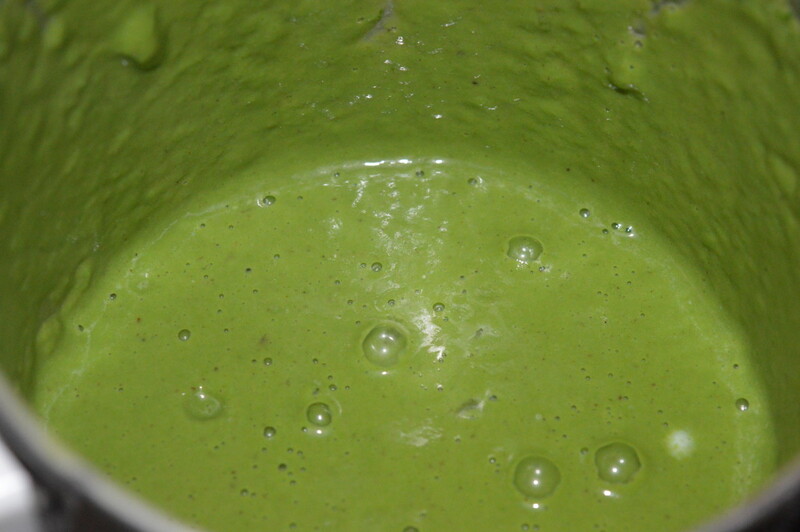 Continue stir-cooking till spinach becomes soft. Sprinkle a few drops of water while cooking, if needed. Cooking spinach may take about 4 minutes. Turn off the stove. Set aside for cooling the contents a bit. Transfer the contents into a mixer. Grind, adding milk little by little, to get a smooth puree. Pour the puree into the deep-bottomed pan that you have used earlier. Add the remaining milk. Add some salt. Mix well. 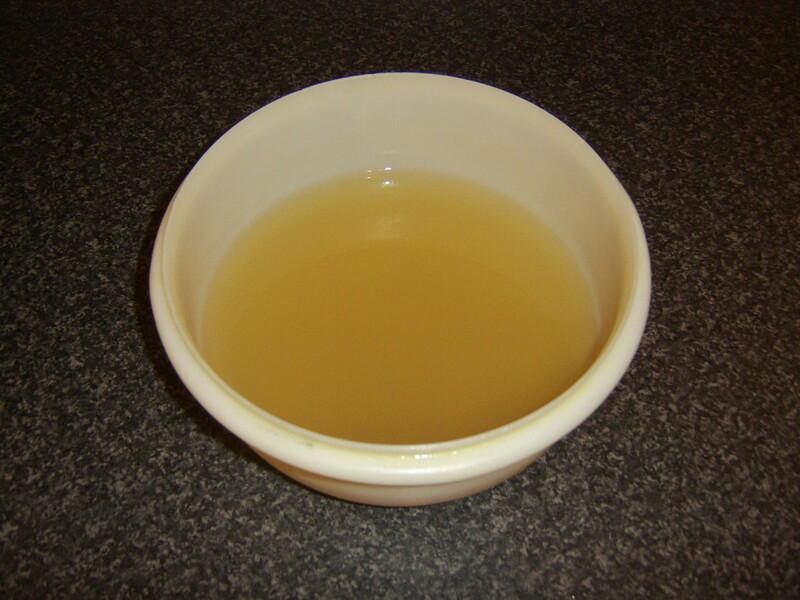 Boil the mix, while adding water to adjust the consistency. Boil for a minute. Turn off the flame. 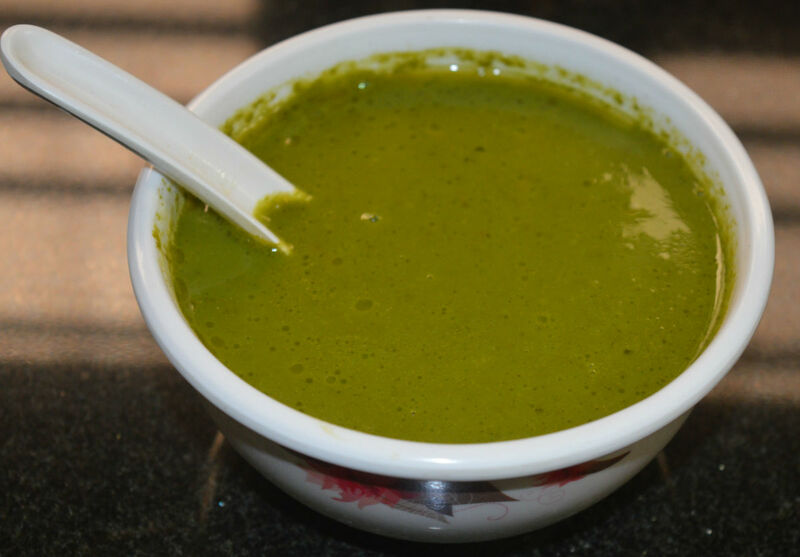 Spinach and fresh peas soup is ready to serve! Pour it equally into four bowls. 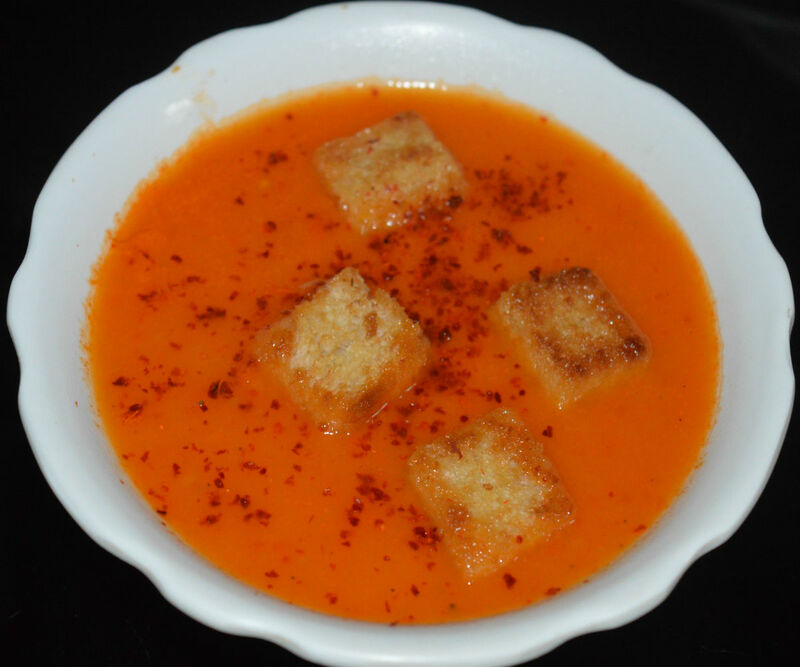 Enjoy sipping this hot and refreshing soup! Step one: Saute cumin seeds and pepper corn in butter or oil. Cumin crackles. Add chopped onions. Saute till they become pinkish and transparent. 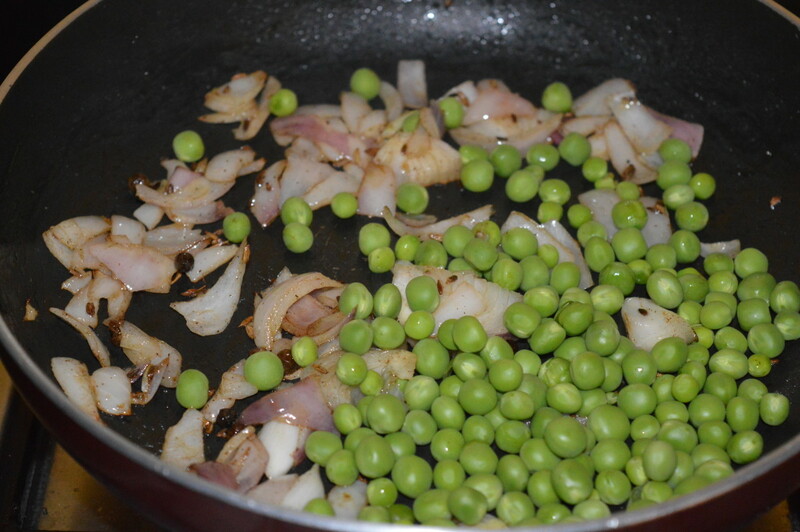 Step two: Add fresh peas. Continue stir-cooking. 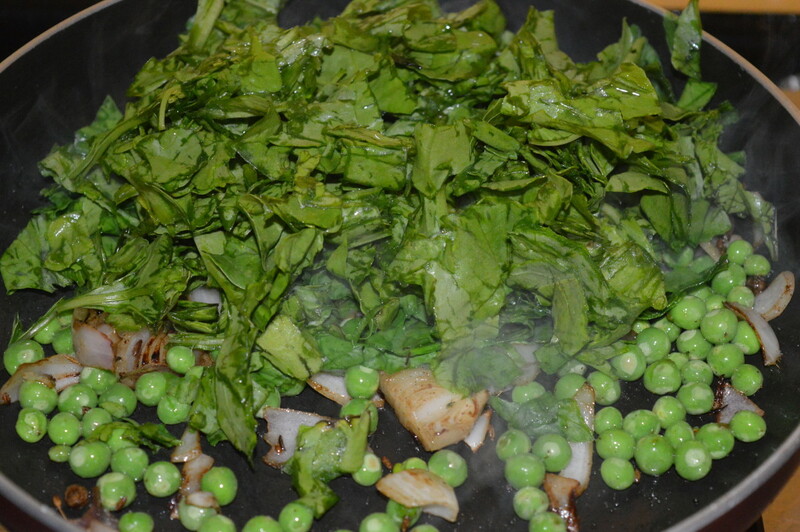 Step three: Add chopped spinach leaves, once peas become tender. Throw some salt into the pan for fast cooking. Step four: Spinach gets cooked in 4-5 minutes. Add few drops of water, if needed. Turn off the fire. Set aside for cooling the contents a bit. Step five: Transfer the contents to a mixer or grinder. Add some milk. Grind to get a smooth puree. Step six: Pour the puree into the deep-bottomed pan. Add remaining milk. Pour water to adjust the consistency. Add some salt. Boil the mix for a minute. Turn off the stove. 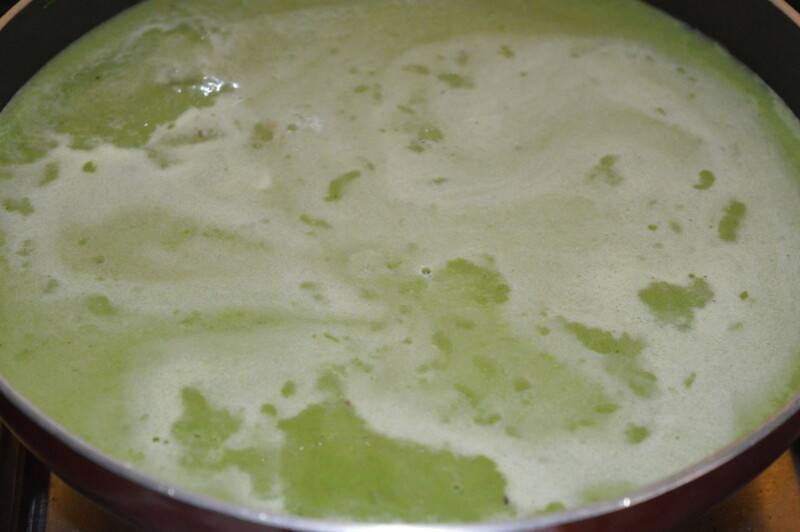 Step seven: Spinach and fresh peas soup is ready to serve. Pour it equally into four bowls. 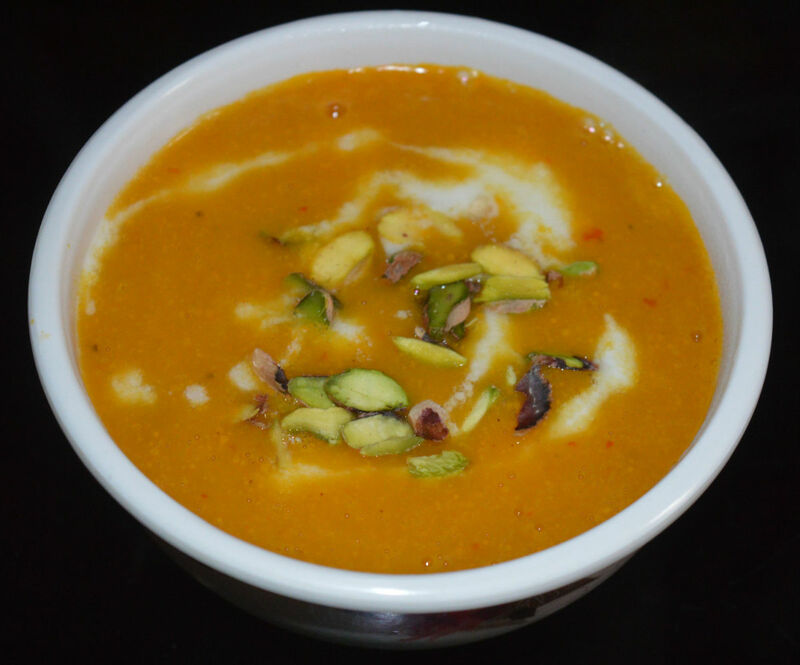 Enjoy sipping this hot and yummy soup!